Making Words is such an important activity! 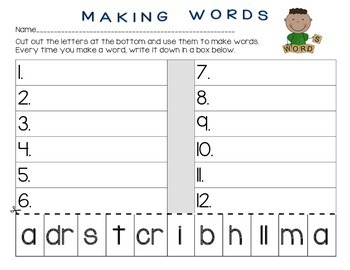 These making words sheets allow students to interact with letters to form words, and to practice reading and writing the words they make. This packet includes six making words sheets with varying choices of consonants, vowels, consonant blends, and vowel digragphs. 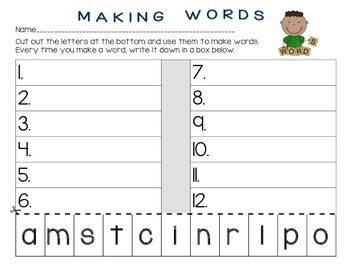 Check back soon for a making words form you can choose/add letters to that suits you and your learners.